Do you love sports, but have loved ones who don’t? 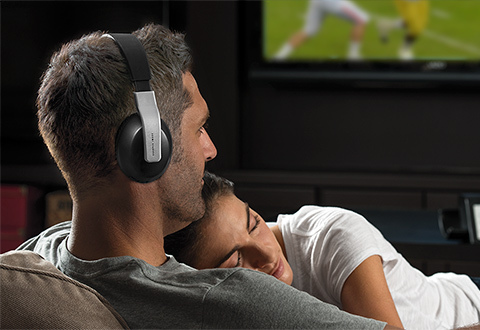 Wireless headphones use radio waves to connect to your home theater receiver, so you can watch the game and get a snack from the kitchen without missing a play or having anyone ask you to turn it down. Your audiovisual equipment can’t perform to its fullest if it’s plugged into outlets with inconsistent voltage and electrical noise. A power conditioner will keep the electrical current clean and the sound coming from your speakers crisp. In addition to improving and stabilizing your power, it will provide surge protection, too. Transducers create a home theater experience that goes beyond what you can see and hear. Similar to the sensation of a subwoofer, transducers vibrate with low-frequency sound, so you can feel the action on screen. They can be attached to your furniture or installed in your floorboards, so you get shook up, but your neighbours won’t. Ever wonder what it feels like to drive like James Bond? With a motion simulator, you can feel the punch of the acceleration, the force of the hairpin turns, and the gut-turning weightlessness of soaring through the air in an Aston Martin Vanquish. If you want to be like Bond, you’ll need a bank account to match; entry-level systems cost $15,000 and up. The kids have been put to bed and you can finally watch something without a PG rating, that is if the gunfire and explosions don’t wake them up. An audio leveler makes loud sounds quieter and quiet sounds louder, so the kids can sleep and you can still hear all the dialogue, even when it’s whispered. You bring your music with you everywhere – to your car, to the office, to the gym – now you can bring it home. With an in-wall iPod/iPhone dock, you can discreetly charge your iPod or iPhone and listen to all your carefully curated tracks through your home theater system. When you’re ready to go, your iPod or iPhone will be too. Today work often follows us everywhere and we may sometimes have to follow work to the other side of the globe. Ultimately, many of us have less time for family and friends. Luckily, we have videoconferencing, so you can keep in touch with people who matter, no matter where they are. When you’re not watching your HDTV, it’s essentially a big, black, rectangular void on your wall. Why not use it to display your favourite painting by Monet instead? 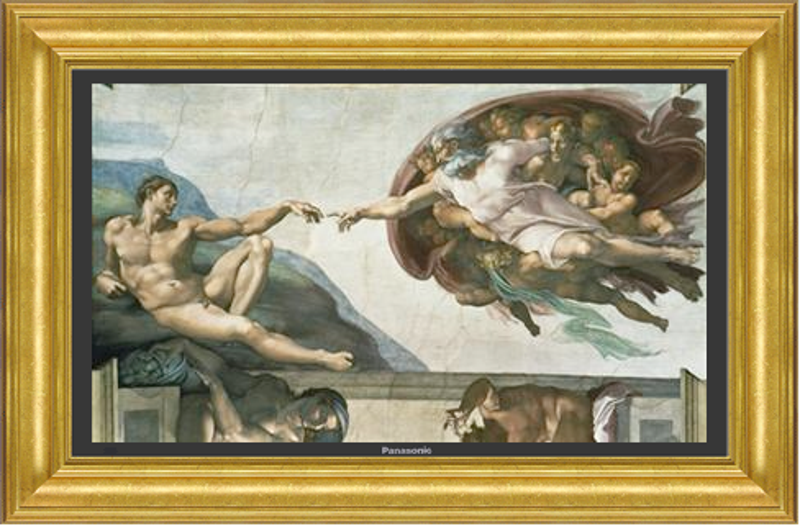 With GalleryPlayer, you can turn your TV into a work of art, be it a landscape by a famous artist or a photo of your favourite footballer. When you unboxed your new gaming console, did you notice that it didn’t come with the highest quality cables? Think outside the box and upgrade the cables to component video (for the Nintendo Wii) or HDMI (for the Xbox 360 and Sony PlayStation). Got glare? If your TV does, then you can’t see what you’re watching. The best way to get rid of glare is to turn off the lights and pull closed the drapes. Stay seated, because home automation systems will do it for you at the click of a button.